This week continues a spy story set in late Georgian England, the year before Trafalgar. Last week continued Alice’s formal introduction to Sir Roderick – who she had chased through Bristol and Bath while she thought he was a French spy. Neither of them is overly keen on the other right at this moment. Alice’s expression suggested it might be, but she remained silent. 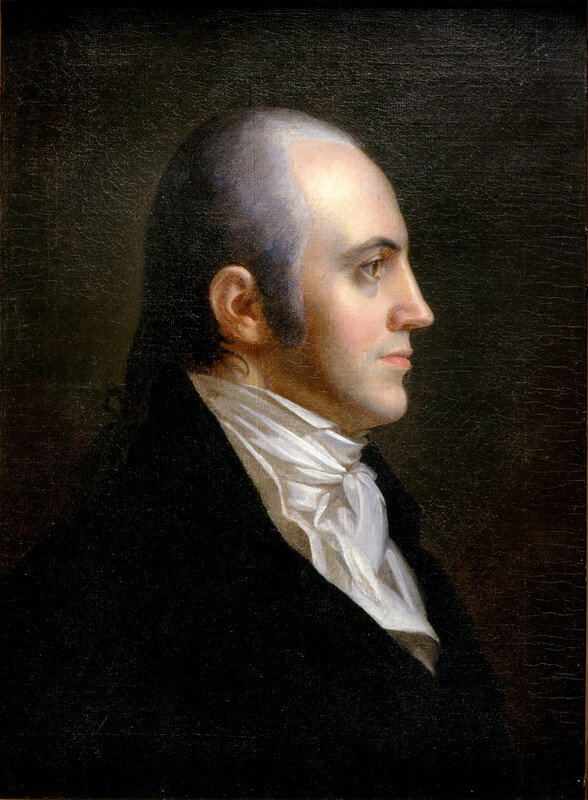 The dates are off by a few months but one of the things Roderick brings with him is correspondence with Aaron Burr, the then vice-president of the United States. Most people remember Burr for his duel with Alexander Hamilton. However he was in contact with the British ambassador Anthony Merry (who appears earlier in this sequence). He, Burr that his, offered to bring part or all of the Louisiana purchase to the British for the measly sum of half-a-million dollars. That and an naval fleet. Jefferson found out and had him tried for treason. The evidence was inconclusive, but Burr joined people like Benedict Arnold in the anti-hagiography of American history. Foreign involvement in American politics goes back a long time. Still working on a cover idea – hard even though I’m a dashed good photographer (if I say so myself). That and editing the manuscript to put more description/reaction into it. (not to mention a few thousand words). What happens when teenagers get to play with Dr Frankenstein’s lab notebooks, a few odd chemicals and a great big whopping coil? Mayhem, and possibly an invitation to the Transylvanian Neuroscience Summer School. Like poor Cecelia, ” The Curious Profession of Dr Craven” is back from the dead. It looks like Alice’s education may have been incomplete? What a ‘tangle’ indeed! It gets damned tangled indeed (following Twain’s advice about using very). Thank you for reading. Love the dialogue and the dilemma! Poor Alice! Thank you. It’s only begun to get complex. Thank you for reading. No one is quite a reliable narrator in this story. Thank you. That’s the idea. Sounds like the start of a major complication. Fun snippet! She has better self-control than me, for sure! Thank you. She’ll need every bit of it before the story is finished. It would seem that Alice, who doesn’t remember the recognition signal, could use some mentoring. She has a lot to learn. If she didn’t there wouldn’t be a story. Thank you for reading. They just spent the last few days/weeks thinking the other an enemy agent and trying to trip each other up. Bound to be a few wounded feelings. Thank you for reading. Now that’s an awkward situation, but I’m sure she’ll learn quickly! Thank you. She’s a pretty quick study. Previous Previous post: Sunday Snippet, Clearing Weather.